Well, another year has come and gone. And I’m happy to report 2016 was another record-breaking year for Scott Robertson Auctioneers. 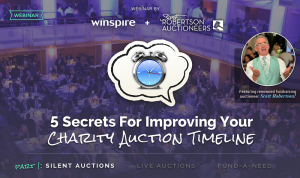 We hosted 68 fundraising auctions during those 52 weeks. 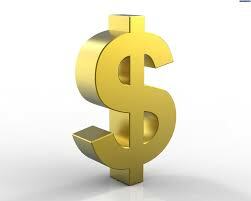 And as New Years’ Eve turned into New Years’ Day, the combined total of those auctions reached $35,319,700. Our previous record, which was set in 2015, was just under $29,438,000. When 2012 started, Sara Rose Bytnar and I had set a personal goal to raise $50 million for charities and organizations within four years. In March of last year, we crossed the $100 million mark. That doubled our original goal in just four years and three months. Here are the actual annual totals for the past five years. *$4,600,000 raised at the Sonoma Wine Weekend Auction, in Sonoma CA. *$3,205,500 raised at the Philbrook Museum of Art Wine Experience in Tulsa. *$2,800,000 raised during the Southwest Florida Wine and Food Fest in Fort Myers. *$2,300,00 raised at the Immokalee Charity Classic in Naples. *$2,057,000 raised at the FARA Energy Ball in Tampa. *$1,200,000 raised at Magic Under the Mangroves for the Conservancy of Southwest Florida in Naples. In addition to raising record-setting dollars, 2016 held some other highlights for Sara and I. To start with, Sara competed in the International Auctioneer Championship, and was named First Runner-Up. In the world of auctioneering this is a huge honor. In August, I presented at the Benefit Auctioneers Summit, sponsored by the National Auctioneers Association and held in San Diego, CA. One hundred twenty four of the top fundraising auctioneers in the USA attended this year’s event. Speaking of the National Auctioneers Association, at last summer’s Conference & Show, I took a 3-day course on Social Media marketing. The class dealt with Facebook specifically and was very educational. Sara had taken this class previously and convinced me of its importance. We are firm believers that you need to constantly be reinventing yourself by keeping up with the times. And you simply cannot ignore the impact social media has on today’s world. Even the world of Benefit Auctions. And finally, I was selected to do 3 live webinars on the subject of Time Lines for Benefit Auctions. 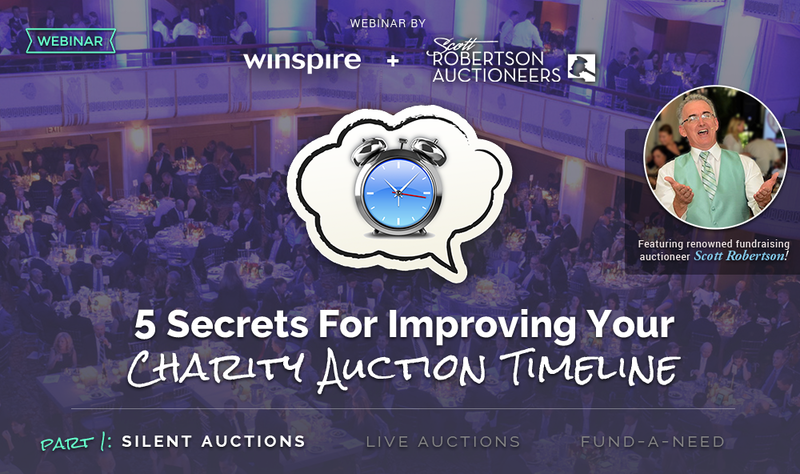 These webinars are co-hosted and sponsored by Winspire, a company that offers travel and trip experiences for auctions and other charitable events on a consignment basis. My first webinar was held in December. It dealt with the subject of Silent Auction timelines and more than 650 people, from around the country, registered for it. On Tuesday, January 17, I’ll be discussing the topic of timelines for Live Auctions and on Tuesday, January 31, I’ll be discussing the topic of timelines for Special Appeals aka Fund-a-Need. Each webinar lasts an hour-and-a-half. For more information regarding the webinars and to register to listen to them once they’re recorded and aired live, go to our website www.thevoe.com. So, that wraps up 2016. It was a very rewarding and satisfying 365 days. But, a new year is now upon us. We have new challenges to meet. More money to raise. And more children, families, and animals to help.